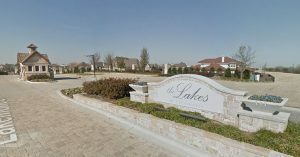 Lakes of Las Colinas is a residential gated community located in the south east portion of Las Colinas in the 75039 zip code. Homes in this community range from 500k to 1.2 million and were built between 2009 and 2015. The Lakes of Las Colinas is less than a half a mile from the Irving Convention Center and the DART Rail. Residents of this community will enjoy having just a short drive to get to any of the local hotspots, shopping, restaurants, Richland Community College, American Airlines Center (AAC), DFW Airport and Downtown Dallas. The neighborhood is managed by Community Management Associates (CMA). You can find more information about the schools, neighborhood and country club with the links below.